Oh, look, some Hollywood elitists want to wag a finger in our general direction and lament how our obsession with social media connections keep us from making real ones. Can’t wait. 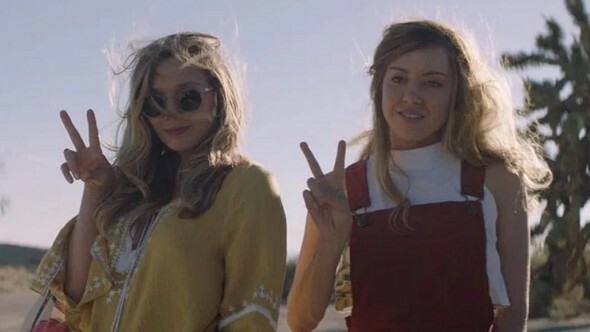 Hold on, Ingrid Goes West is smarter than your average wag, and the feature debut from director/co-writer Matt Spicer sports a welcome swagger that holds the film’s satirical bite just when you think it’s going soft. Aubrey Plaza is Ingrid Thorburn, a shall-we-say “high strung” young woman in Pennsylvania who earns some mental health evaluation after an unsavory incident at a friend’s wedding. Ingrid’s spirits are lifted when she comments on a post by Instagram star Taylor Sloane (Elizabeth Olsen), and Taylor actually responds. Newly motivated, Ingrid is off to California, where she finds a way to insert herself into Taylor’s perfect life, maybe make a boyfriend out of her Batman-obsessed landlord Dan (Straight Outta Compton‘s O’Shea Jackson, Jr.) and definitely live out her social media fantasies. Though Spicer freely uses contrivance to set up and maintain his narrative, the comedy is deliciously dark and the characters keep us invested even when they’re far from likable. Plaza (earning another producing credit) easily makes Ingrid an appealing mix of sympathetic and psychotic, while Olsen crafts the perfect embodiment of insufferably attractive hipster. The metaphors aren’t always subtle, but Ingrid Goes West finds a delicate balance in its travels, one that understands the allure of a volatile facade. Aubrey PlazaElizabeth OlsenGeorge WolfIngrid Goes WestMaddWolfMatt SpicerO'Shea Jackson Jr.